With a career that has spanned 4 continents and 75 operatic roles from the baroque to the newly-composed, high respect as a pedagogue and superlative press reviews, Simon Lobelson has established himself as one of the most versatile baritones of his generation. 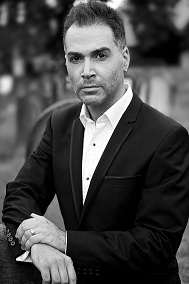 Since graduating with honors from Sydney University and subsequently studying at London's Royal College of Music on a scholarship, Simon has performed in venues such as Sydney Opera House, Queen Elizabeth Hall, St Johns Smith Square, St. Martin-in-the-Fields, and all over China, with companies such as The Royal Opera House Covent Garden, English National Opera, Opera Australia, Pinchgut Opera, Sydney Chamber Opera, London Mozart Players, Sydney Symphony Orchestra, Sydney Philharmonia, English Chamber Orchestra, Israel Camerata and the Lucerne Festival. He has worked under such conductors as Pierre Boulez, Simon Halsey, Charles Dutoit, Paul McCreesh and Richard Bonynge, and recorded for Chandos and ABC Classics. Some of his roles have included Amfortas, Escamillo, Rigoletto, Alberich, Nick Shadow, Marcello, Ford, Germont, Figaro, Michele and Don Alfonso. Simon is on staff as lecturer, coach and vocal professor at the Sydney Conservatorium of Music, regularly adjudicates for the Sydney Eisteddfod and has given master classes in both Australia and China. He commences his PhD in 2019.